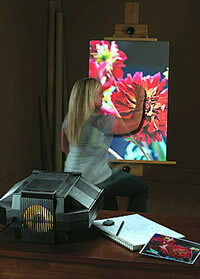 Digital Art Projector Artograph LED 500. 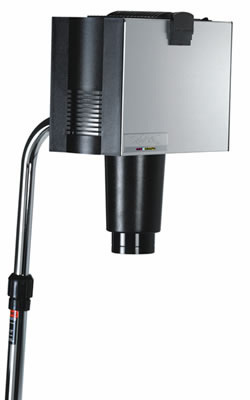 The LED 500 is the newest digital art projector from Artograph. The LED 500 is brighter, and has a greater contrast ratio, while the super bright, maintenance-free 500 lumen LED lamp provides vivid and accurate illumination and lasts up to 30,000 hours. Image controls allow you to rotate, resize, and reverse your picture at the touch of a button, and includes a new feature which automatically adjusts the projected image to be square when being projected higher or lower than the projector. With 1280 x 800 (WXGA) resolution, twin XD image processors, and an exclusive "Edge Enhancer" function, the Artograph LED500 offers brilliant, 500 lumen illumination, true-to-life color, and incredible sharpness. Projected image sizes range from 15" to more than 80" in virtually any lighting conditions. The keystoning adjustment lets you easily adjust angles and perspective to suit your design. 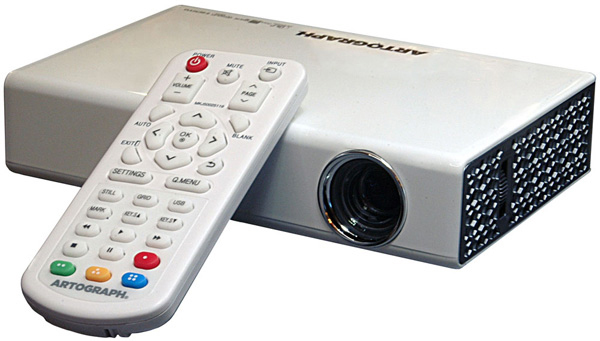 The LED 500 projector has the ability to display digital images from virtually any source, including SD cards, thumb drives, digital cameras, computers, iPads, and smartphones. Art Projectors Make it easy. Art Projectors Make it easy. Make it big...with Projectors. Whether it's image clarity, copy reduction/enlargement, or color-corrected brightness you need, we offer practical economical choices. Select the optimal model for quick and easy enlarging capabilities to create banners, murals and paintings or precision clarity necessary for airbrushing and fine art. 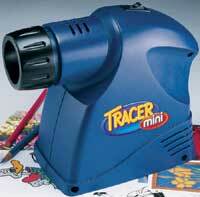 Art projectors project an image onto a work surface for tracing and visualizing. This allows the artist, crafter, or designer to size, view or lay out a particular design with incredible speed and accuracy, while maintaining integrity and control. An image can be reproduced exactly or used as a proportioning guide to aid in the creation of a new design. Common Uses/Applications For Light Boxes A light box is an indispensable tool for a whole range of art, hobby and craft applications. Trace script styles and illuminated lettering. Professionals and amateurs speed up production and accuracy with a light box. Embroidery Appliqué, Quilting & Needlework: To trace patterns directly onto paper and lightweight fabrics, simply lay the design or pattern on the light box screen and place your working surface over the top of the design or pattern. Switch the light box on and draw the outline in soft pencil or tailor's chalk. Tip: if pattern or design is hard to see, turn room lights off or use tracing paper. Scrapbooking, Embossing & Cartooning: For cut-outs, filigree and pierced work, cut around the design with a craft knife or scalpel, or pick around the outline with a sharp point. The camera obscura (Lat. dark chamber) was an optical device used in drawing, and one of the ancestral threads leading to the invention of photography. In English, today's photographic devices are still known as "cameras". 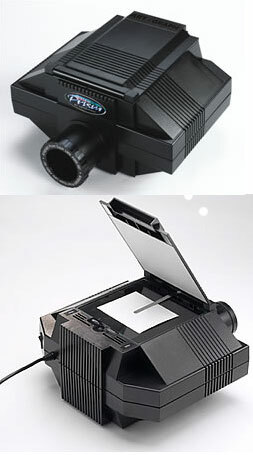 The principle of the camera obscura can be demonstrated with a rudimentary type, just a box (which may be room-sized, or even hangar sized) with a hole in one side, (see pinhole camera for construction details). Light from only one part of a scene will pass through the hole and strike a specific part of the back wall. The projection is made on paper on which an artist can then copy the image. The advantage of this technique is that the perspective is accurate, thus greatly increasing the realism of the image (correct perspective in drawing can also be achieved by looking through a wire mesh and copying the view onto a canvas with a corresponding grid on it). With this simple do-it-yourself apparatus, the image is always upside-down. By using mirrors, as in the 18th century overhead version (illustrated in the Discovery and Origins section below), it is also possible to project an up-side-up image. Another more portable type, is a box with an angled mirror projecting onto tracing paper placed on the glass top, the image upright as viewed from the back. As a pinhole is made smaller, the image gets sharper, but the light-sensitivity decreases. With too small a pinhole the sharpness again becomes worse due to diffraction. Practical camera obscura use a lens rather than a pinhole because it allows a larger aperture, giving a usable brightness while maintaining focus. 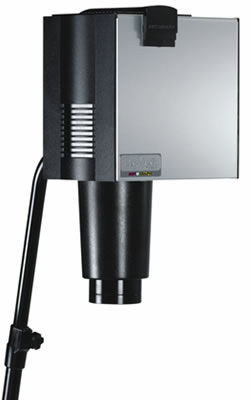 Super Prism Projector Artograph Ref: 2847 designed for the artist or designer who needs the best in image clarity and accuracy. Ideal for working from a variety of challenging originals like photographs, half tones, and highly detailed drawings. Features a 3-element, colour corrected lens for extra sharp images and increased brightness. This Super Lens enlarges originals from 3 to 20 times. Includes extra accessory lens to extend the range from 3 times enlargement down to 80% reduction. Includes 500-watts of photo quality lighting for a whiter and brighter image. Magnetic door latches and a spring clip keep copy securely in place. Generous 7" x 7" (18 x 18 cm) top-loading, glass covered copy area makes for easy placement of large copy, books, or small 3-D objects. A dual cooling channel system and thermal overload circuit protect originals from overheating. Dark room required. Enhance and define features and tonal range in portrait painting when working from a photograph or sketch. Transfer an accurate repeat image for cartooning or decorating walls, furniture, fabrics, pottery, cake decorating icing - in fact, just about any surface to be hand painted. 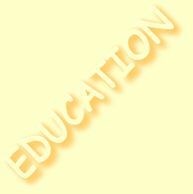 Produce paintings and decorative work faster - for fun and profit. 1. Simply place the original in the copy area of the projector. 2. Enlarge the image by changing the projection distance. 3. Adjust the lens to sharpen focus, then trace around the outline, drawing in as much detail as you need.